The Essteele Per Sempre 16cm/ 1.8L covered saucepan combines premium quality materials with world renowned Italian engineering to create beautiful, chef-choice cookware. The thick, fast-heating core allows the pan to heat the base and all the way up the sides simultaneously, giving this cookware perfect heat control and optimum performance. This 16cm saucepan is perfect for reductions and sauces. 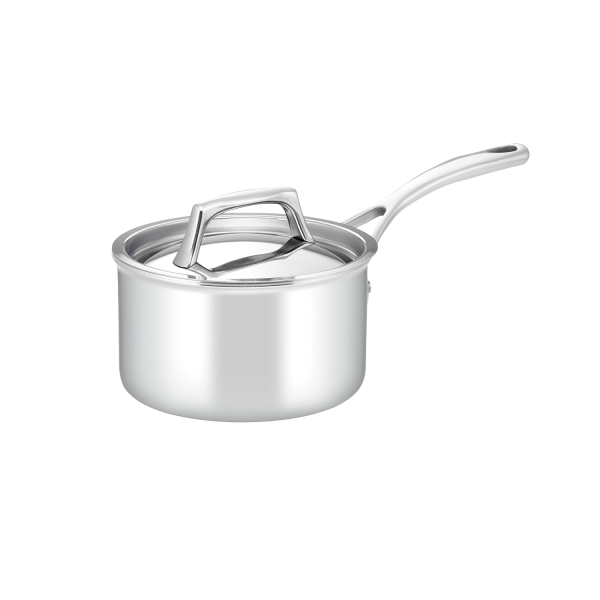 Essteele Per Sempre 16cm/1.8L Covered Saucepan is rated 5.0 out of 5 by 4. Rated 5 out of 5 by AndyT from Top pan The pan was procured to replace an older and worn out stainless pan. We already had Essteele 'Australis' pans and have been very happy with them. Australis was not available in our local Myer store, but another was, that looked quite similar to Australis. But the Per-Sempre that was needed to be ordered from another store was not what was on display at our local store! Luckily, the Per-Sempre has proved easier to clean than Australis.